Technology keeps advancing at a rapid pace and all industries along with the construction industry are evolving with it. If you operate in the construction industry, you probably already know how many new construction technology trends emerge every year. And with 2019 starting, it’s a good idea to take a look at the technology trends that will dominate the construction industry in the next twelve months. 3D blueprints have changed the construction industry for good. Even though this technology has been introduced years ago, programmers and engineers keep working on making these even more useful to construction companies. The thing with 3D blueprints is that they can help you determine the time and cost of a project more accurately. This doesn’t only mean you get to finish your projects more quickly but it also ensures that nothing goes wrong. This is mostly because 3D blueprints tell you exactly how much material and workforce the project requires. Wearable tech has been a great addition to the construction industry. The best thing about it is that it allows you to keep your workers safe. For instance, when they use their wearable devices, you can track exactly where they are and alert them of potential hazards as quickly as possible. Moreover, your employees can use wearable devices that helps them communicate with their co-workers on the other side of the construction site. We think there will be more wearable technologies that can find their way into the construction industry, so make sure you keep an eye out for new devices to invest in. It’s obvious that quality equipment is the key to doing good construction work and keeping your clients happy. Just like any other year, businesses in the construction industry will have a wide variety of quality equipment to invest in. For instance, if you want your employees to lay bricks correctly, providing them with a quality laser level is a must. Also, depending on the size of projects your company tackles, you can think about the idea of getting an excavator. 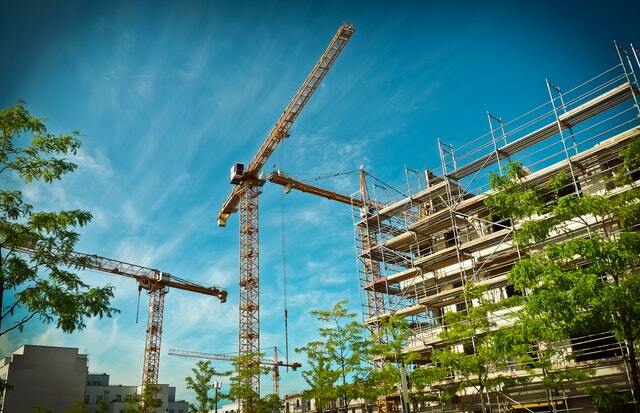 In 2019, we’ll also see new construction businesses renting the machinery they need. Just how much money and effort is put into restoring roads and buildings every year? Luckily, engineers have now come up with a new type of concrete that heals itself, eliminating the need for restoration. The way it works is that concrete now includes a substance that activates when it rains and fills any cracks in the concrete. It’s safe to say this type of concrete will be huge in 2019 and knowing how to use it is a must. When used properly, self-healing concrete can add years and yeas to a building’s life. Drone enthusiasts out there will be happy to hear many construction companies will use these little devices in 2019. Drones give you a chance to keep an eye on your sites even when you’re in the office. The footage they provide you with can also be used to identify potential hazards and keep your employees safe. Moreover, using drone footage is a great idea when it comes to meeting with clients. Provide your client with it and there won’t be need for them to visit the site and put your operations on hold while they’re inspecting your work. Construction industry is volatile and we see plenty of changes in it every year. However, with the way new technologies are being released, there’s no doubt we’ll see some construction technology trends your business will be able to benefit from. The five we talked about earlier are just some of them that could bring change to the construction industry in 2019.